Mireille Enos; Joel Kinnaman; Elias Koteas; Hugh Dillon; Amy Seimetz; Bex Taylor-Klaus; Julia Sarah Stone; Max Fowler; Peter... New in new packaging. 2014 Run time: 270:00. 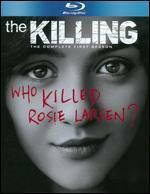 One of televisions most suspenseful series ever comes to a powerful, thought-provoking close. 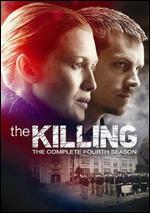 Following the shocking murder of her former lover, Detective Sarah Linden (Mireille Enos) joins her partner Stephen Holder (Joel Kinnaman) in a race to destroy evidence that would implicate Linden in the crime. Meanwhile, the two must resolve a case involving the horrifying slaying of a prominent family whose son is enrolled in a respected military academy. Also featuring Oscar Nominee Joan Allen*, the absorbing final season of this acclaimed show is riveting, addictive entertainment! Kinnaman, Joel. BRAND NEW Amazing low price. Kinnaman, Joel. New. Buy with confidence-Satisfaction Guaranteed! Delivery Confirmation included for all orders in the US. Mireille Enos; Joel Kinnaman; Gregg Henry. New. Run time: 60 mins. Language: English.